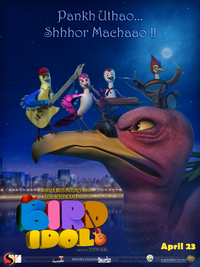 Review Summary: BIRD IDOL is watchable in parts but the lack of awareness will make the effort go unnoticed. BIRD IDOL is watchable in parts but the lack of awareness will make the effort go unnoticed. It’s strange that most of our animations centre around mature themes - usually mythology or romance.